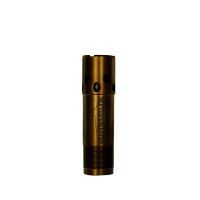 Patternmaster 12ga Shooting Sport Series SPORTING CLAY (0.715”) has our patented “Gas over Constriction Technology” utilizing a “Coil Zone” which is made up of a channel inside the tube used to harness gas expelled from the ammunition. “Coil Zone” channels are spun in a negative twist to stabilize the wad for even, consistent patterns and keep the tube tight in the barrel. 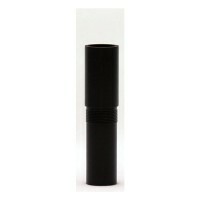 Anaconda SPORTING CLAY tubes will throw a LITE MODIFIED pattern with distances out to 40 yards. 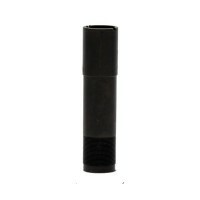 SPORTING CLAY tubes extend out the end of your barrel about three-quarters of an inch. 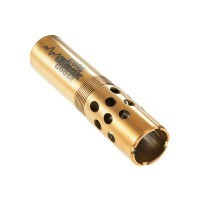 The extension is diamond knurled to allow for hand tightening and efficient tube change. Tubes available in SILVER color only.